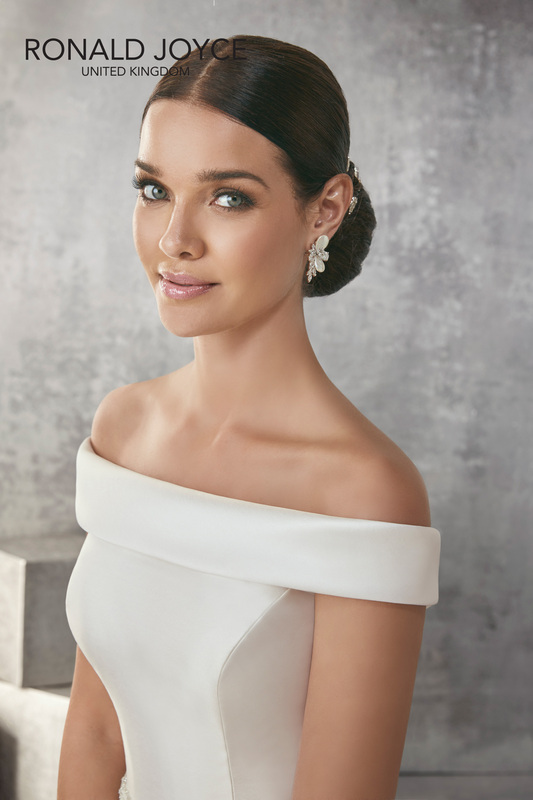 The Ronald Joyce Bridal collection for Spring 16 is strikingly beautiful. 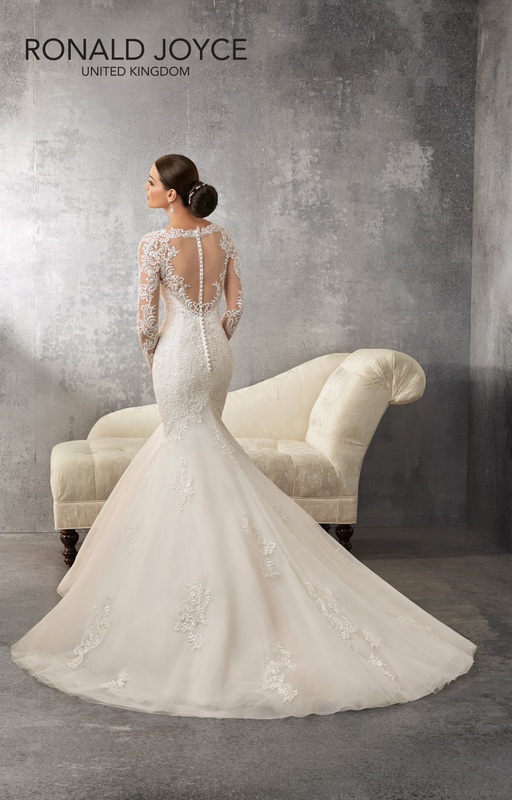 The collection focuses on flattering shapes including stylish fish tale silhouettes, subtle A-lines and full skirted traditional wedding gowns, all with the Ronald Joyce renowned structure. 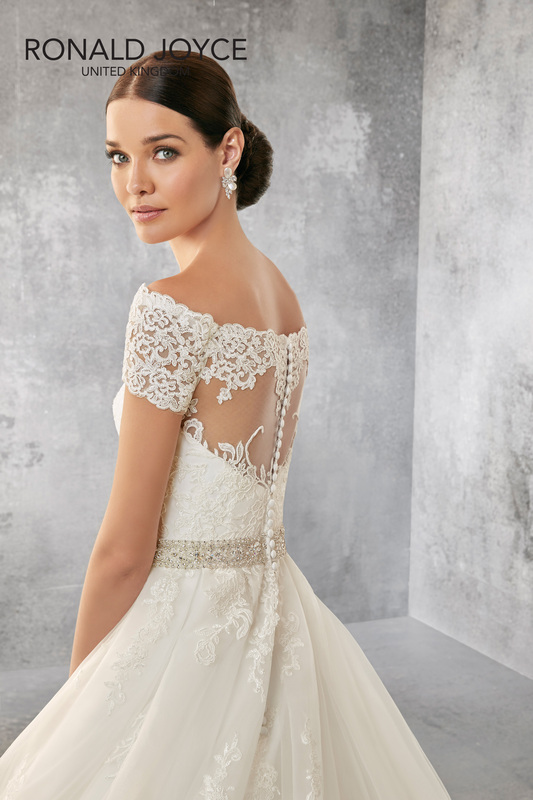 Featuring laces embellished with beading and embroidery, soft tulle and organza, the romantic designs are complimented with delicate bead-work and stunning belts. 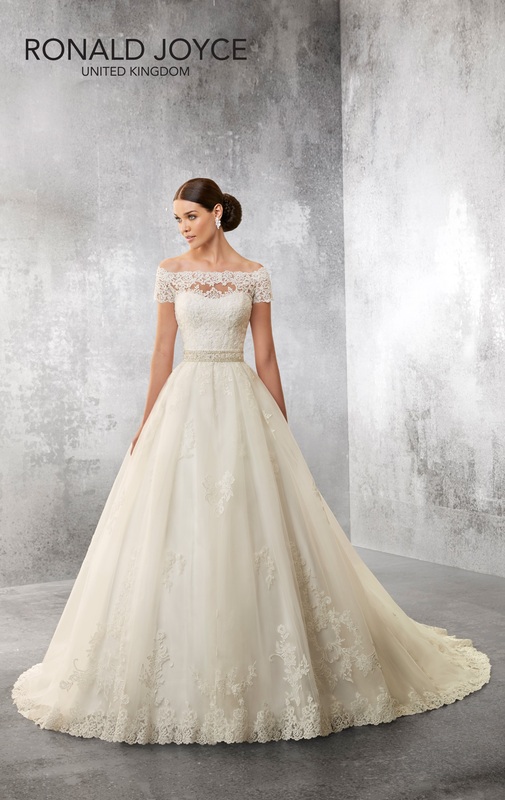 A tradition ball gown design with off the shoulder lace bodice, illusion back, cap sleeves and a beautiful beaded waistband. 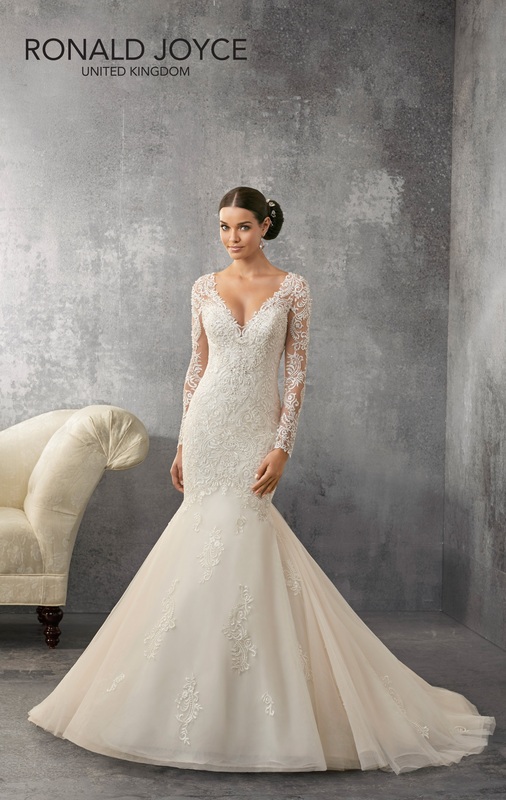 A contemporary design with long lace sleeves and a trumpet style skirt, with stunning lace illusion back detail. 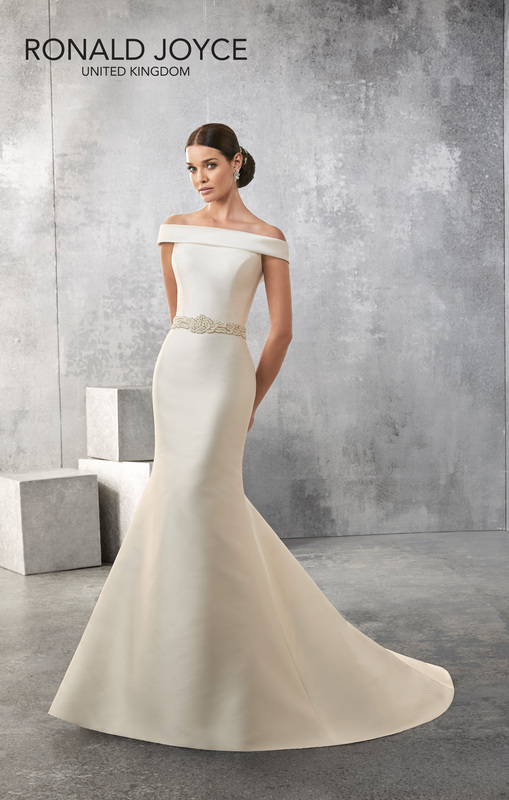 A classic slim fitting mikado gown with bateau neck, beaded waistband, low back and button detail. 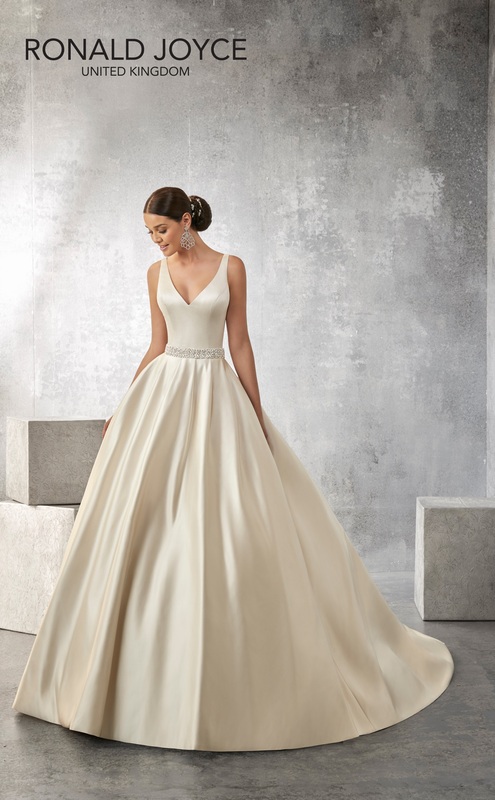 A classic satin sleeveless ball gown with a peal and jewel encrusted waistband, low v back and button detail. To try any of these gowns please give us a call at our Skipton boutique to make an appointment on 01756 798995.